A failed pinnacle at Gloucester Cathedral where, working with the cathedral masons, we used diamond drilling combined with protected access techniques to effect a repair. 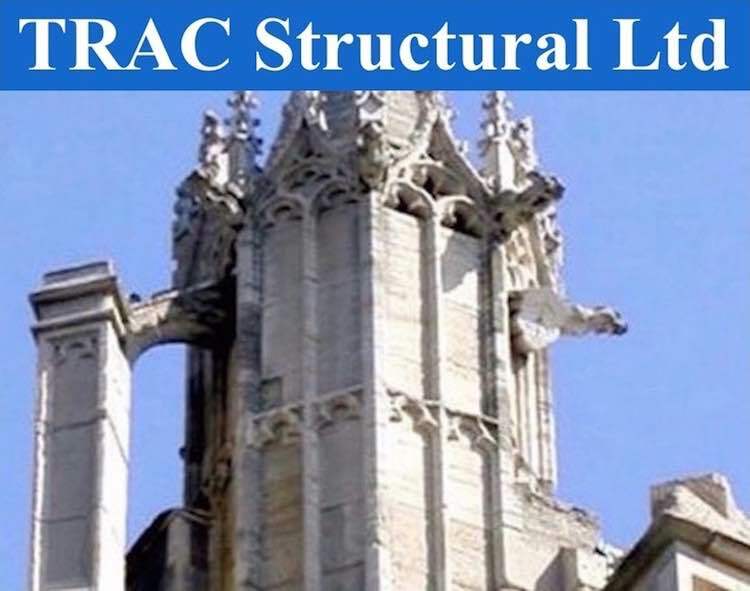 Our Precision Diamond Drilling and Abseil Access Services further expand the scope of structural repair services we can provide for you. We use the method to form￼ small diameter holes in a wide variety of materials prior to installation of remedial reinforcement. The technique is essentially vibration free and keeps spalling of the material being drilled to a minimum. Photos of just some applications for this technique are shown in our Precision Diamond Drilling photo album. When circumstances demand, we have the skills to carry out various works using abseil access or more often for protected access in difficult to reach situations. Photos of some projects carried out in the past are shown in our Abseil Access photo album.